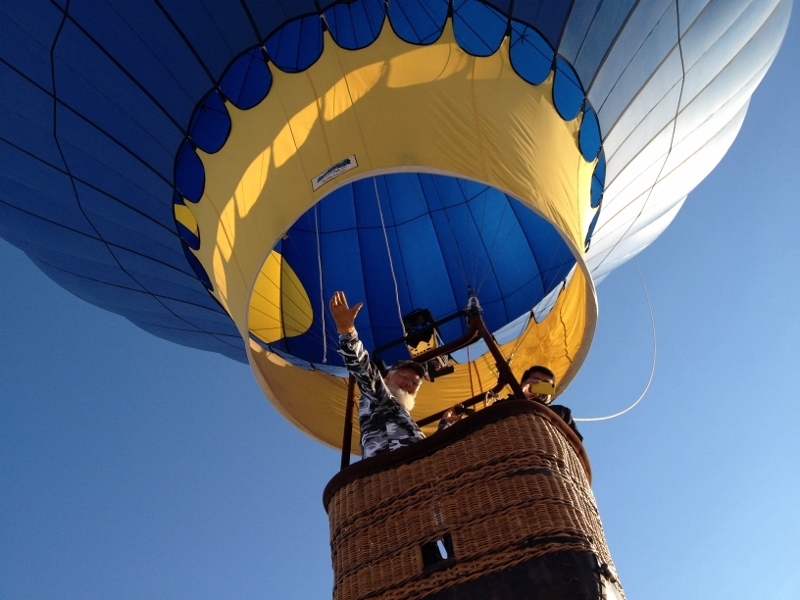 It’s been four years since I last rode in the Blue Moon hot air balloon. 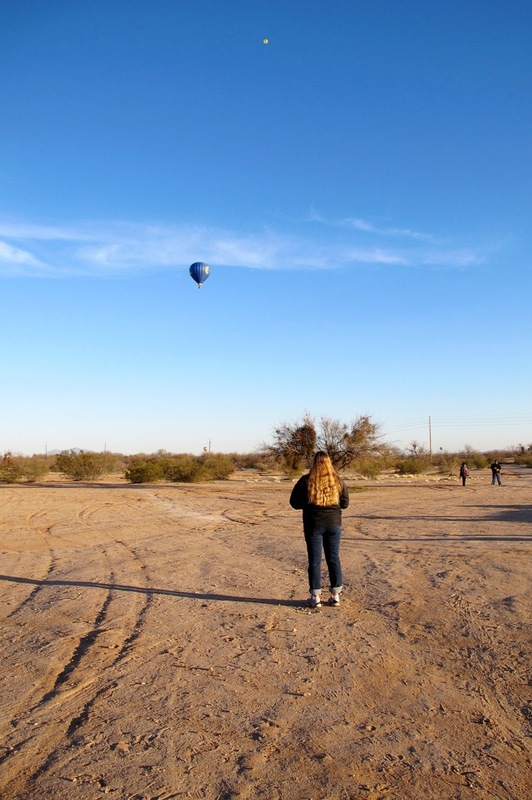 She has a new pilot now, Dan Ewer, carrying on the tradition of former pilot, Roy Walz, flying over White Sands. We could photograph the sky from the ground, but not photograph the ground from the sky. White Sands is a protected area. There’s a song for the above picture. But first we must get there. And, the chase is on. Pretty good run for a windy day. We’re a well tutored crew. 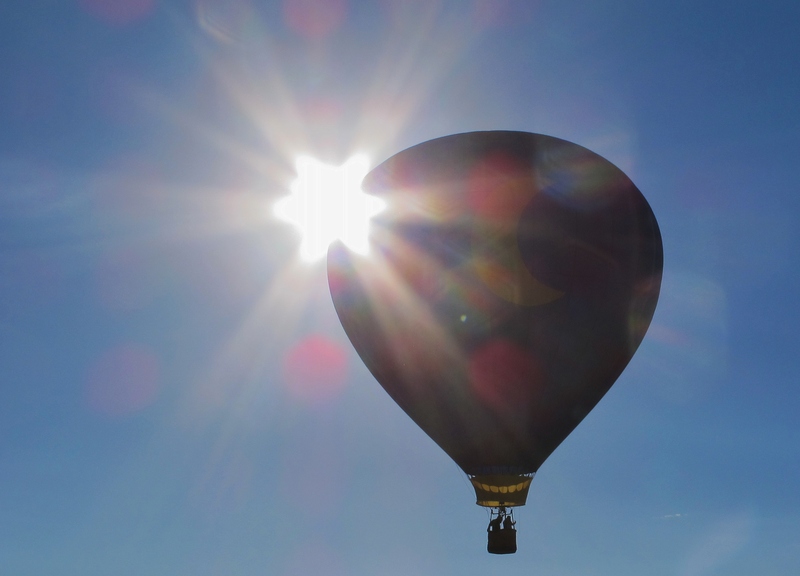 How the air gets out of a hot air balloon. 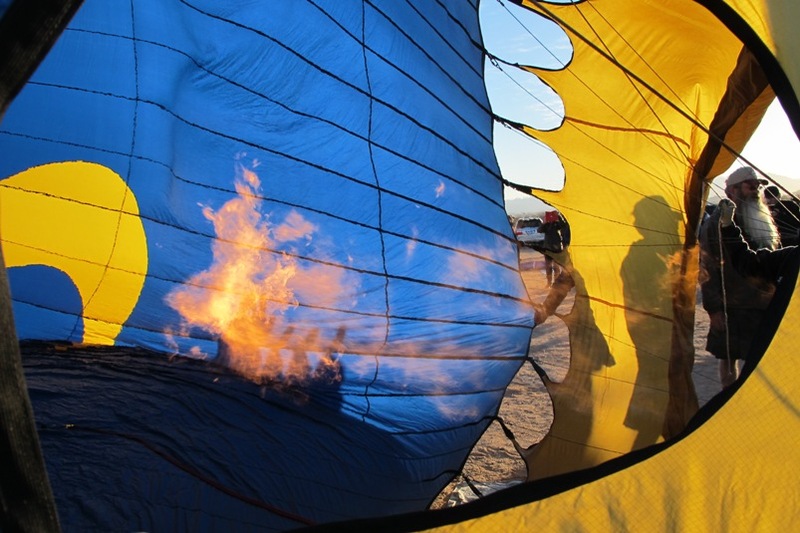 Appearing at the Albuquerque International Balloon Fiesta 2016: The Blue Moon. 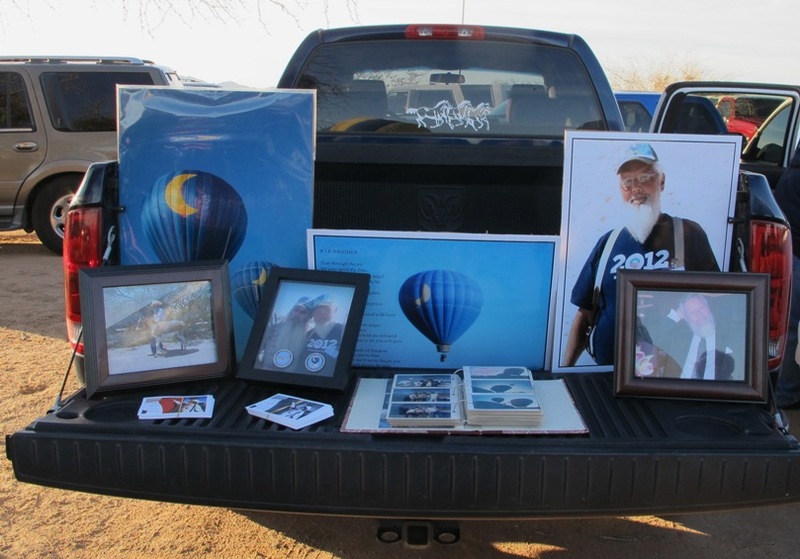 Hot air balloonists gathered in Marana, Arizona on February 17, 2013 to honor one of their own: pilot Roy Walz who passed away at the end of 2012. Roy was a man of good heart and loving generosity who would take you for a ride higher and longer than ever before. 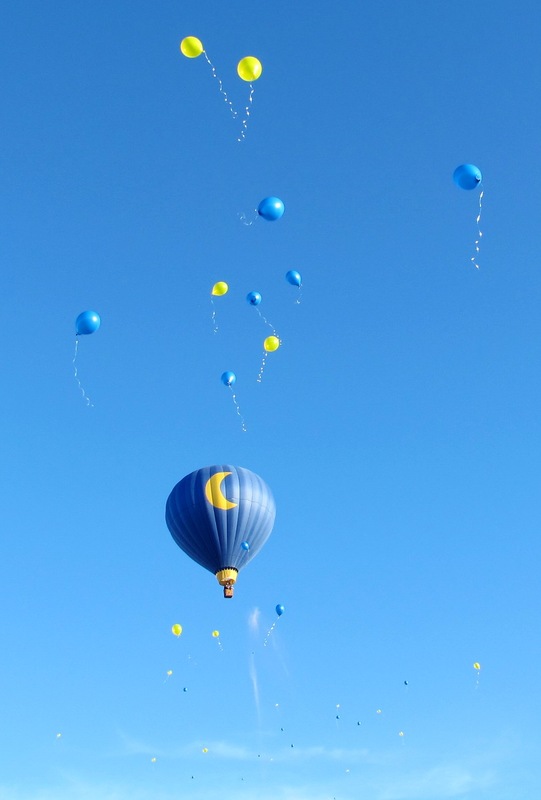 I had the privilege of crewing for him and his Blue Moon balloon. 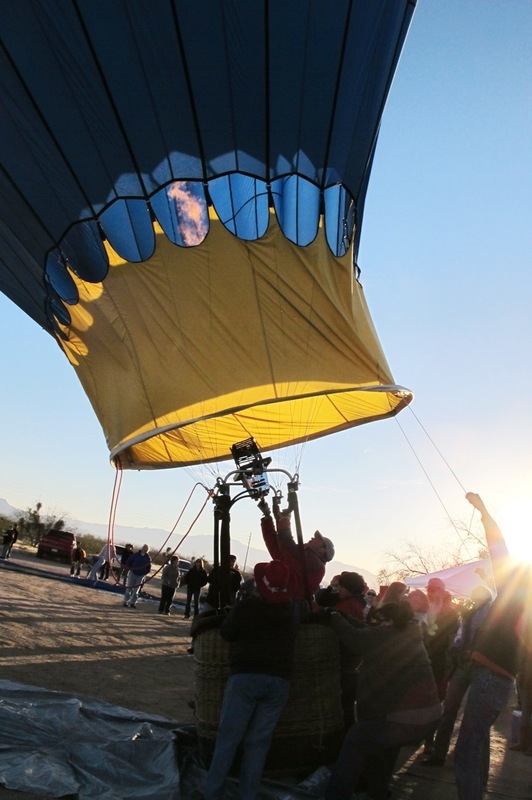 He gathered a wonderfully fun team to be a part of as we sent him soaring aloft at many a rally in Arizona and New Mexico. People brought their favorite photos of Roy. 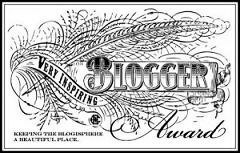 I’ll share some with you here. 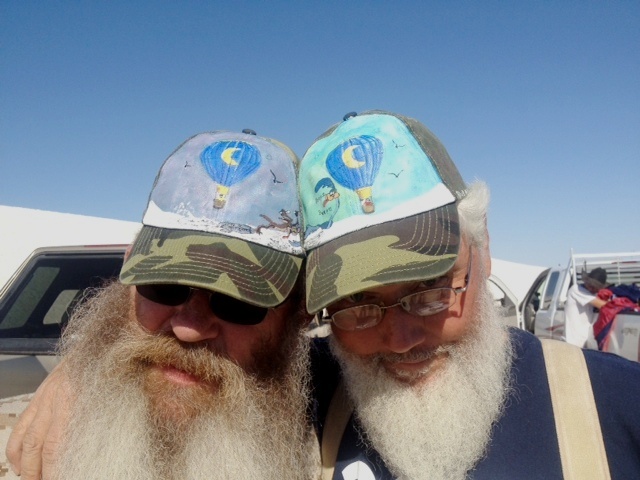 Roy, with his partner and crew chief, Richard, at his last rally in White Sands, New Mexico, September 2012. 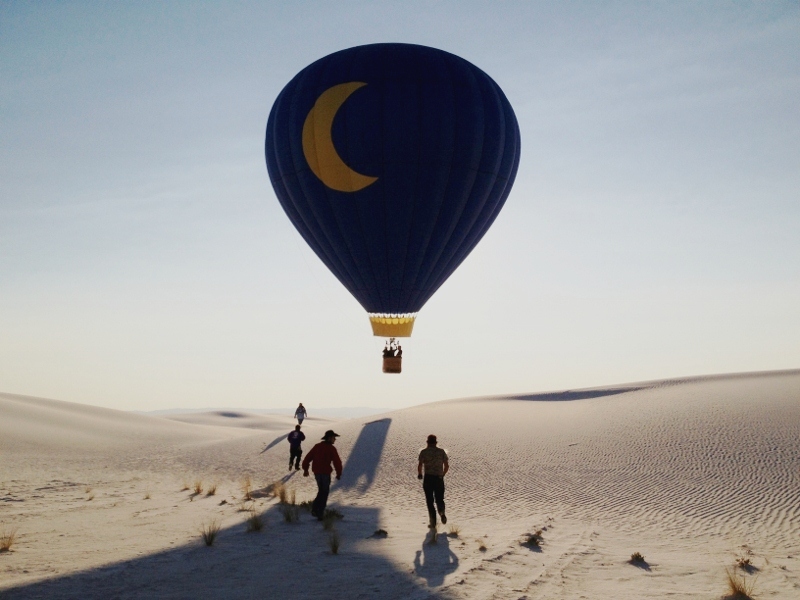 It was a lovely day for a balloon chase across the gypsum dunes of White Sands. We were blessed with another beautiful morning when Richard supervised the memorial flight of the Blue Moon. 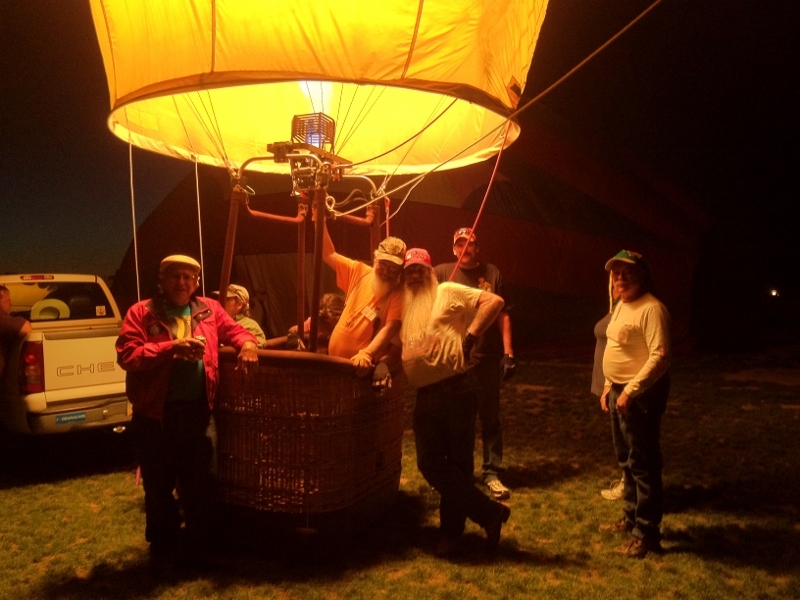 Dan Ewer, of Foolish Pleasure Hot Air Balloon Rides, served as pilot for Roy’s balloon. Everyone gave a helping hand to send the Blue Moon into the air once again. A balloon for each of Roy’s 59 years on Earth escorted him on his last flight while his ashes were scattered. Many a tear fell as we wished Roy farewell. Yet, he lives with us now and always in our hearts. The Winds have welcomed you with softness, the Sun has blessed you with its warm hands, you have flown so high and so well God has joined you in your laughter and set you gently back into the loving arms of Mother Earth and the Crew.